In Singapore the Registry of Marriages has voided the marriage of a transgender woman & her partner who were married as heterosexuals in October 2015 in an unprecedented case because of the country’s criminalization of homosexuality & failure to recognize same gender couples. When the couple applied for subsidized housing available only to married couples, Singapore’s Housing & Development Board (HDB) questioned the couple’s marriage because by then they were each legally registered as female. The marriage was then voided by the Registry & later the couple was denied marital housing. Grace Poore, OutRight Action International Regional Program Coordinator for Asia & the Pacific Islands stated, “This is blatant discrimination by two government departments that are undermining the rights to family & housing eligible to heterosexual married couples. Furthermore, Singapore’s insistence that transgender people must remain in heterosexual relationships denies transgender people the right to be gay or lesbian, which is completely unacceptable. 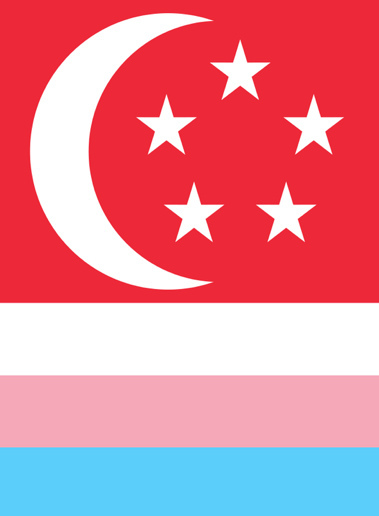 On numerous occasions at national & international arenas, the Singapore government has stated that there is no discrimination against LGBT people in Singapore. This proves what we’ve always known: this is a lie. The state can do right by reinstating their marriage & providing them with the housing to which they are entitled.” While transgender people are entitled to legal gender recognition in Singapore, the Registry used the country’s criminalization of homosexuality & failure to recognize same gender couples as the basis for annulling their marriage.